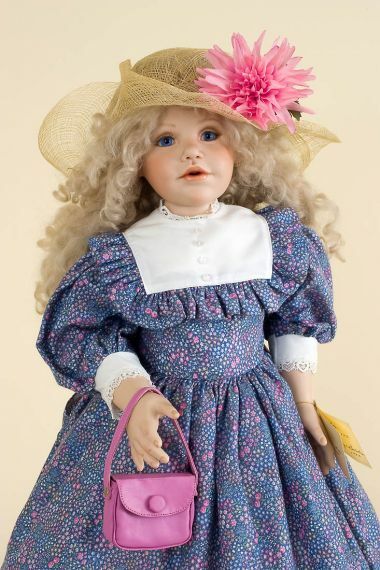 Abby anticipates Spring with her matching purse and hat! 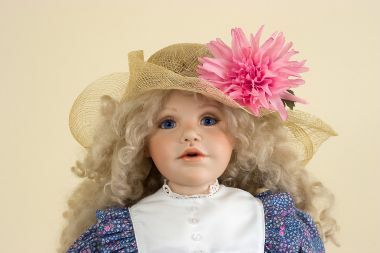 Abby is a collectible doll by doll artist Marilyn Bolden for doll maker Marilyn Bolden Originals. Abby is made of porcelain, with soft body. 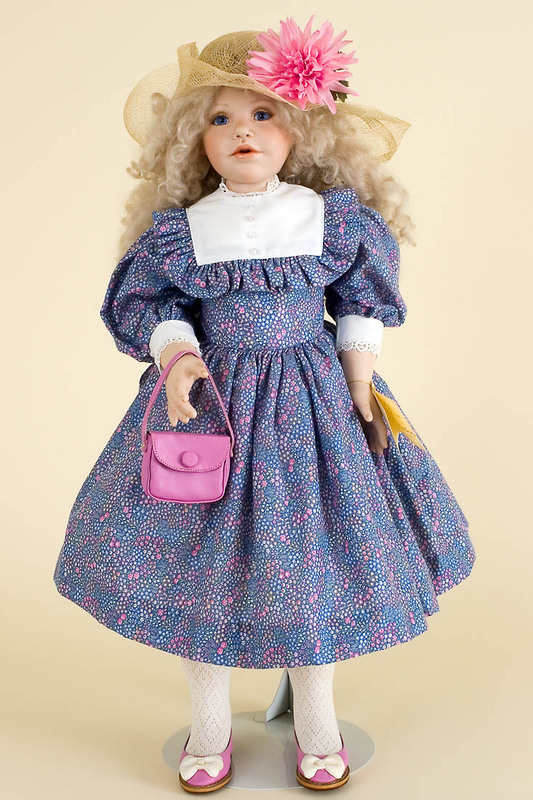 Size of doll is 27 inches. Abby is a limited edition of 125.